How Much Does a Car Alarm / Security System Cost? Last year, we at Firstech did a cost breakdown of adding a remote car starter to a vehicle. Due to the positive response the article received from both retailers AND shoppers, we want to do the same breakdown on car alarms/security systems. Let’s start by doing a search on everyone’s favorite shopping platforms: Google and Amazon. Purely going off these results, you’ll see prices anywhere from $25 to $80. However, we need to ask you three IMPORTANT questions before you go with one of these options. Do you want your car alarm to be properly installed into your vehicle? Do you want your purchase to be protected under warranty from defects? Doesn’t a sub-$100 price tag seem a little too-good-to-be-true for ensuring your vehicle’s security? If you answered “Yes”, to any of these questions: we recommend you do NOT purchase a security system off the internet. All of the search results displayed above do NOT included professional installation – meaning that you will have to visit a security specialist or install it yourself. Furthermore, if you attempt to install the system yourself, you will instantly be voiding the warranty on your product! Check out this review from Amazon. Our recommendation: find a retailer in your area that has trained installers who specialize in vehicle security – only they will be able to provide hardware and services that best fits your needs. 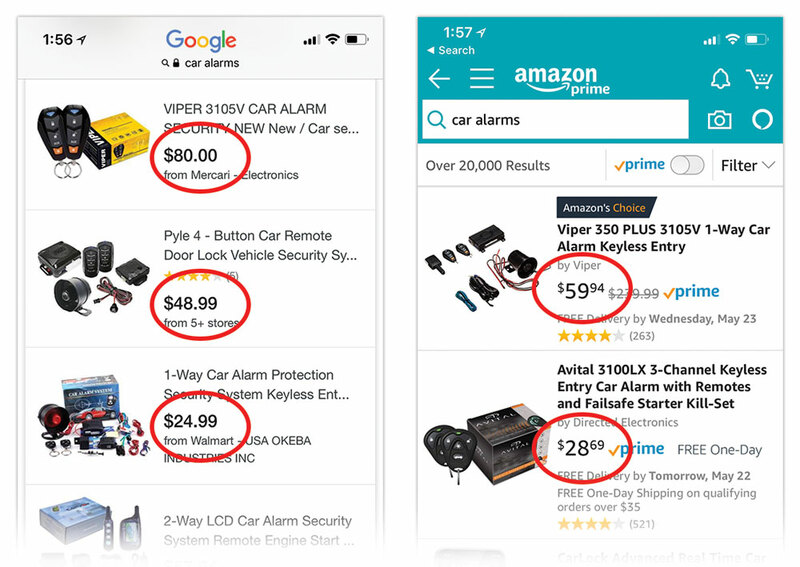 So how much will a car alarm cost at a retailer? Based on a brief survey of Compustar dealers, a basic car alarm/security installation for a non-luxury vehicle will range from $159.99-$249.99. Prices vary depending on your vehicle’s year/make/model. Professional Installation – First and foremost, a retailer is going to understand how to safely install a car alarm onto your vehicle without interfering with any of your vehicle’s original functionality. Remote(s) – Key fob for lock/arming and unlock/disarming your vehicle’s security system from extended range. Alarm siren – Aftermarket security systems tend to include sirens that are significantly louder than horns/sirens installed by OEMs. Shock sensors – Detects impact/intrusion by someone trying to break into your vehicle, sets off the alarm siren when triggered. Manufacturer’s Warranty – An authorized retailer is going to have the backing of the manufacturer to fix any defects that you may encounter with your car alarm/security system. Starter Kill – ($49.99-$99.99 upgrade) Disables your vehicle’s starter while the security system is armed, preventing motor theft. 2-Way Alerts – ($199.99-$349.99 upgrade) Upgrade your remote fob to get better range and instant notification if your alarm is triggered. Smartphone Connectivity ($149.99-$199.99 upgrade) – Connect your car to your smartphone with applications like DroneMobile, which allow you to control, track, and monitor your vehicle from virtually anywhere. DO contact a local retailer that employs trained, professional security installers. DON’T attempt a DIY install of a car alarm purchased over the internet. 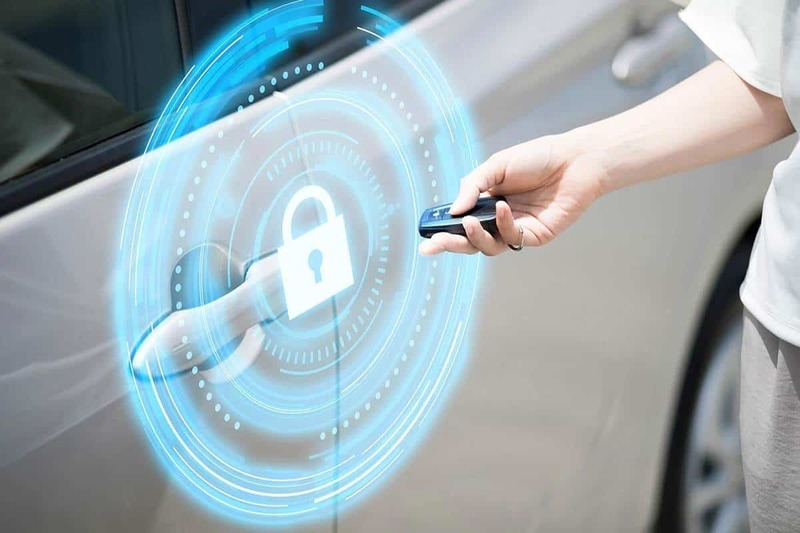 DO your research on security systems and the features that are available for your car. DON’T forget to ask about connecting your security system to your smartphone. DO contact your auto insurance provider and ask if there are premium discounts for upgrading your vehicle’s security. DON’T settle for less when it comes to your vehicle’s security.